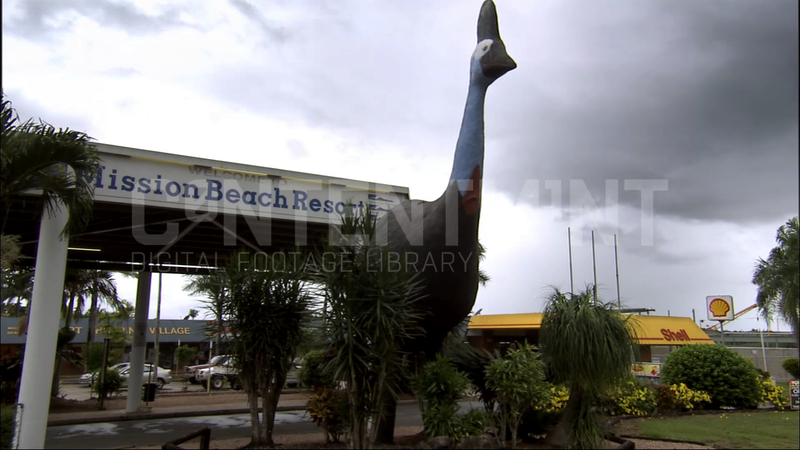 Establishing shot of Mission Beach Resort with giant Cassowary statue out front. Garage on rhs. Dark clouds in sky.